Dr. Jan Peter Verhave, Netherlands Society for Tropical Medicine. 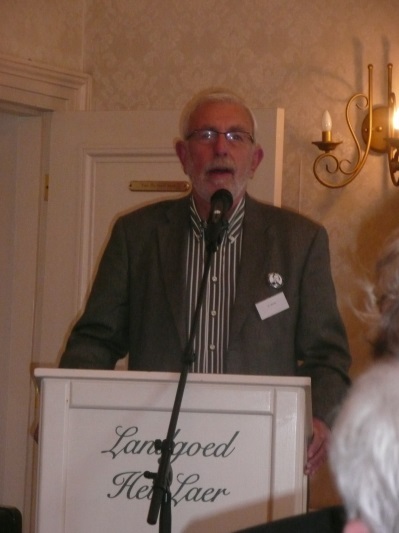 I am a parasitologist, retired from the Radboud University Medical Center, Nijmegen, the Netherlands. My specializations were malaria research, teaching, laboratory diagnosis of human parasitoses and quality control. After retirement I followed a master course Medical History at the Free University Amsterdam. Recently my biography of Nicolaas Swellengrebel: The Moses of Malaria was published (2011). I studied diseases and causes of death among Dutch immigrants in Michigan, USA. I am honorary research fellow at the Van Raalte Institute, Hope College, Holland Michigan, and am writing a biography of American microbiologist and science writer Paul de Kruif.